I posted 1 photo album, checked in to 9 places, took 2 photos, wrote 1 microblog, and walked 4.6 miles. 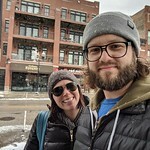 I was in Chicago, Tipton, Colfax, and Des Moines. 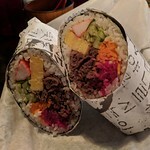 A bulgogi sushi burrito. Weird and probably too big, but very tasty.